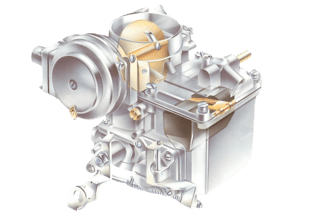 Typical fixed-jet carburettor Choke disc; thethrottle disc orbutterfly islower down. Choke linkage Throttle-stop screwrestricting the travelof the lever. Throttle lever, connectedto a throttle rod. Volume-control screw:this one regulates fuelflow. 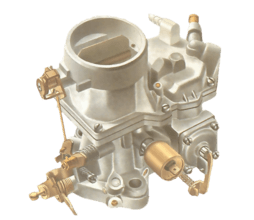 Fuel pipe The acceleratorpump delivers alitle extra fuel foracceleration.